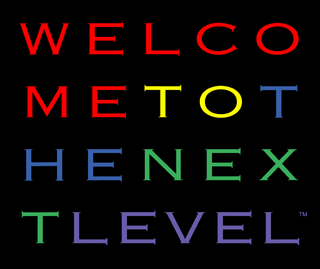 The "Welcome to the Next Level" slogan, used across the entire Sega gaming range for a short period. While certainly turning heads with its Genesis Does campaign, much of Sega's North American image in the early 1990s was characterised by the works of Goodby Silverstein & Partners, which managed Sega's marketing budget between 1992 and 1996. GSP started its hard-hitting campaign in 1992 with the introduction of a slogan "Welcome to the Next Level", originally brought in to maximise sales of the Sega Mega Drive (Genesis) and Sega Game Gear, but later adapted for the Sega Mega-CD. Sega adopted the "Welcome to the Next Level" across the world. It was translated into Portuguese for the Brazillian market (as "Bem-vindo à Próxima Fase"), Portuguese market (Benvindo ao Próximo Nível") Spanish ("Bienvenido al Proximo Nivel") and also appeared in some Japanese Saturn advertising. The campaign coincided with Sega's decision to introduce more uniform packaging for its products (a red striped design for Genesis, purple for Game Gear, blue for Sega CD and later yellow and white for the Sega 32X and Sega Saturn, respectively). GSP would also introduce the Sega Scream in 1993, which carryied through most of the 90s and was even being revived in the early 2000s, such was its popularity.